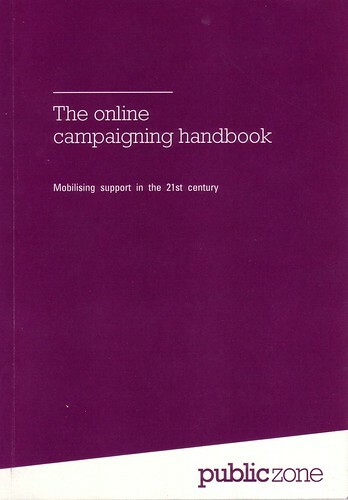 Here is a newish (well I just discovered it..) online campaigning handbook (pdf) from Publiczone. Effective monitoring and evaluation can make the difference between an average and an amazing campaign. Monitor and evaluate as you go along and you’ll keep finding new opportunities to optimise your campaigning…The trick is to design your evaluation before you start, paying close attention to how you are going to collect data. Too often, charities leave evaluation to the end, only to discover they can only form a patchy picture of their campaign due to an absence of data. Entry filed under: Campaign evaluation, Communication evaluation.